Walker, James W. St.G.. "Daniel Grafton Hill". The Canadian Encyclopedia, 30 January 2019, Historica Canada. https://www.thecanadianencyclopedia.ca/en/article/daniel-grafton-hill. Accessed 23 April 2019. Daniel Grafton Hill, OC, O Ont, human rights specialist, historian, public servant (born 23 November 1923 in Independence, Missouri; died 26 June 2003 in Toronto, ON). Daniel Hill, human rights activist (courtesy Daniel Hill). Daniel Grafton Hill, OC, O Ont, human rights	specialist, historian, public servant (born 23 November 1923 in Independence, Missouri; died 26 June 2003 in Toronto, ON). Following the Second World War, Canada experienced a concerted effort to overturn the legacy of discrimination suffered by racial minorities. Few were more prominent in this movement than Hill, who came to Canada for graduate studies but committed himself to the quest for justice in his adopted land. As an activist in the 1950s, his touch was always scholarly, using research and public awareness as tools to combat imbedded prejudices. With a PhD in sociology from the University of Toronto	and a decade's experience with social causes, he was first director of the Ontario Human Rights Commission (OHRC) 1962–71. Under his management the commission evolved innovative tactics, widely copied in Canada and other countries. In 1971 he became the first full-time chairman of OHRC and in 1973 established a consulting firm in human rights with an international clientele. His publications on human rights and black history include Human Rights in Canada: A Focus on Racism (1977, 1986) and The Freedom Seekers: Blacks in Early Canada (1981). Provincial Ombudsman from 1984 to 1989, Hill strove to make that office reflect the "new Ontario" with a forceful outreach program towards traditionally excluded groups and in particular to Canada's Aboriginal people. Following his retirement he became a member of the Canadian Human Rights Tribunal. 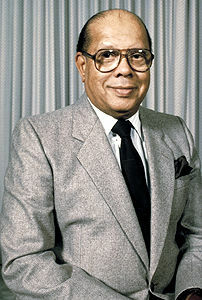 Hill and his wife, Donna Bender, had three children: singer-songwriter Dan Hill, poet Karen Hill, and author Lawrence Hill. My father, my self: the journey of Dan HillAn article about I Am My Father's Son, Daniel Grafton Hill IV’s memoir about his father Daniel Grafton (Dan) Hill III, social activist and first Director of the Ontario Human Rights Commission. From thestar.com. Daniel Grafton Hill IIIAn illustrated feature on Daniel Grafton Hill, Black history advocate and former Ombudsman for the Province of Ontario. From the Archives of Ontario.